Kendra from Luv 2 Scrap 'n Make Cards here today to share a cute card with you! I used the adorable (H264) Puppy Peeking stamp for my main image!! 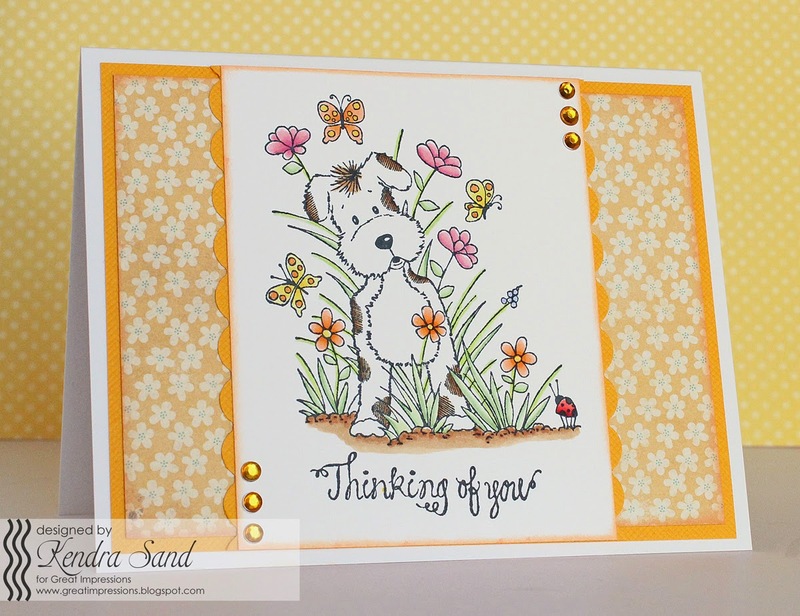 The "Thinking of you" sentiment is part of the (E791) Sweet Sentiments set! The set includes 3 pretty sentiments! !